On Monday 26/1 it was held the assessment commission in the Serra Húnter program for the position COMMUNICATION TECHNIQUES at the University Rovira i Virgili. I am thrilled to share here this new stage of my academic career: I am an Associate Teacher, Profesor Agregado. I am proud of the work I’ve done so far, but especially grateful to my colleagues from my research group ARGET, my colleagues at the Faculty of Education and Psychology, and my students. I would like to share the presentation I made to the assessment commission. I will go on working with the same or greater happiness. I love my work in general and teaching in particular. I do not understand teaching as something dissociated from research, and I cannot think of research that does not produce teaching improvement. In ARGET and CLict, I will continue contributing with my vision of education: learning as representation and representation and learning. I do my professional activities at the intersection of education, technology and social semiotics, being interested in anything that can make this world a better place to learn, live and love. The temptation to see the educational landscape of the digital age as presenting us with communication practices that redefine social relations is powerful. In classrooms and at home, in institutions and in private, in the professional and personal spheres, in static/designed learning spaces or on the go, or locally and globally, people can now interact more often, faster, with more people at once. They can interact through different media and making use of more modes of communication. In such an all-encompassing context, educators are challenged to make sense of the participation, interaction and collaboration practices that are pushing us forward. Thanks to digital technology, there are emerging models of knowledge construction taking place. Teaching and learning practices and knowledge production are interdependent processes, though we do not always acknowledge that in our everyday educational experiences. This is the word cloud of the paper we have just presented for the call for papers: New learning scenarios from a transformative perspective. From global approaches to local proposals. Creativity has been giving us the best of the times rethinking our teaching practices and trying new things. Education in times of instability requires us to welcome creativity in the learning process, taking advantage of the opportunities that new technologies offer for expanding the horizons of learners. Pre-service student teachers deserve and need to be taught through exciting, innovative, engaging and memorable pedagogical models. The learner generation of the digital age needs their teachers to provide them with creative thinking processes in the undergraduate context. They need to explore the up-to-date technological possibilities. Only then will teachers be able to provide alternative answers to resolve conflicts and dilemmas of every day teaching without having to turn to the control and the authority of traditional practices. The widespread use of Information and Communication Technologies (ICT) in all areas has a direct effect on how the world is perceived. This scenario has profound consequences for communication and education, forcing researchers and educators to rethink social relations and processes of knowledge production and distribution in the new conditions of the digital age. 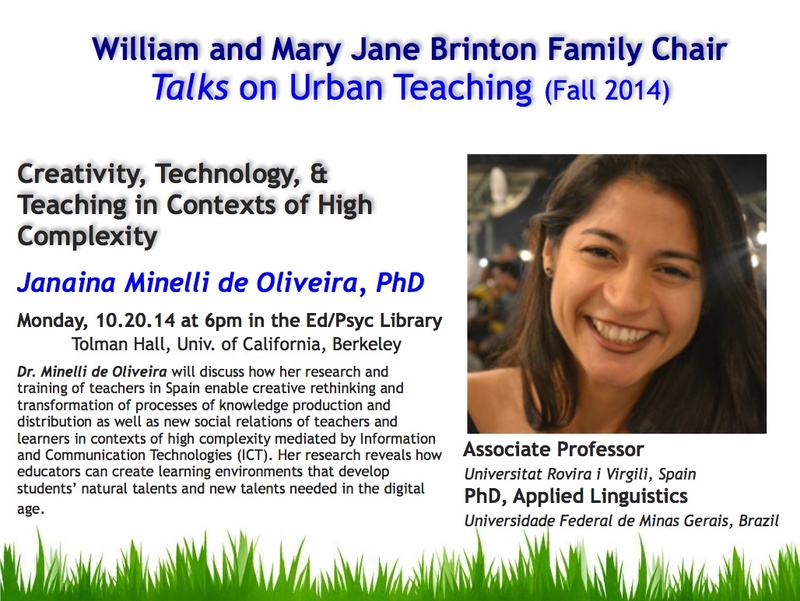 My teaching and research motivation is structured around the understanding of communicative processes and techniques in a context of high complexity. It does not mean that communication and learning processes that occur without technologies are “simple”, but it is important to acknowledge and understand the added complexity characteristic of technological mediated processes nowadays. Future educators should be guided by their trainers in the understandings and practices that will enable them to create leaning environments in which natural talent is nurtured and new talents can be developed. 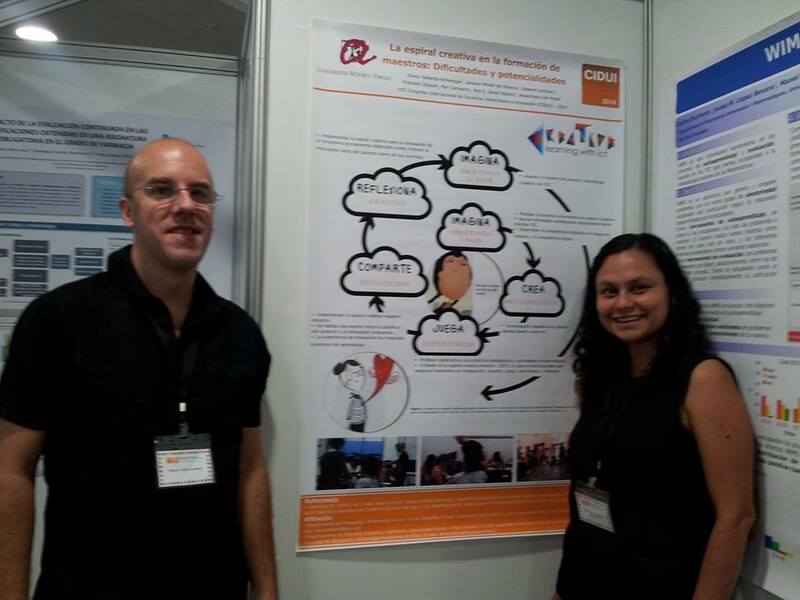 Some time ago I told you my colleague Mar Camacho and I developed a case study in a primary school in Reus. The potential of technology in digital society offers multiple possibilities for learning. E-books constitute one of the technologies to which great attention has to be paid. This article presents a case study on the perceptions held by a teacher and his students on the use of E-textbooks in a primary education classroom. It examines students’ meaningmaking practices and the perceptions that teachers and students have towards their engagement in learning activities in this context. 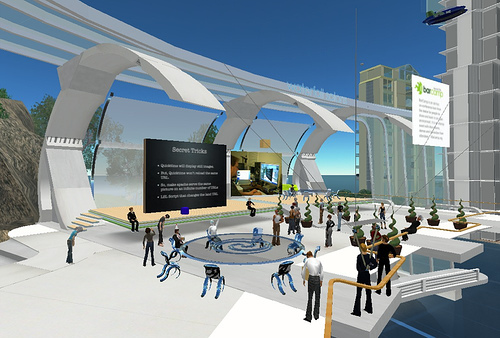 In the analysis of the data generated, the classroom is considered a multimodal learning space, where virtual, physical and cognitive environments overlap, allowing students to negotiate meaning across multiple contexts and reflect upon it. Results show that e-textbook users’ perceptions greatly depend on the institutional culture in which they are embedded. While the adoption of E-textbooks does not necessarily mean a transition from traditional textbooks to E-textbooks, students and teachers may develop a more demanding range of criteria which must be met by e-textbook providers. By doing this, e-books become a real alternative to free internet resources. Although E-textbooks favor a communicatively active style of learning, there are still real challenges to be overcome by publishers so that E-textbooks do not become the next forgotten fad. The incorporation of simulation environments to the teaching-learning process redefines relationships and forms of interaction between teacher and students and also between students themselves. 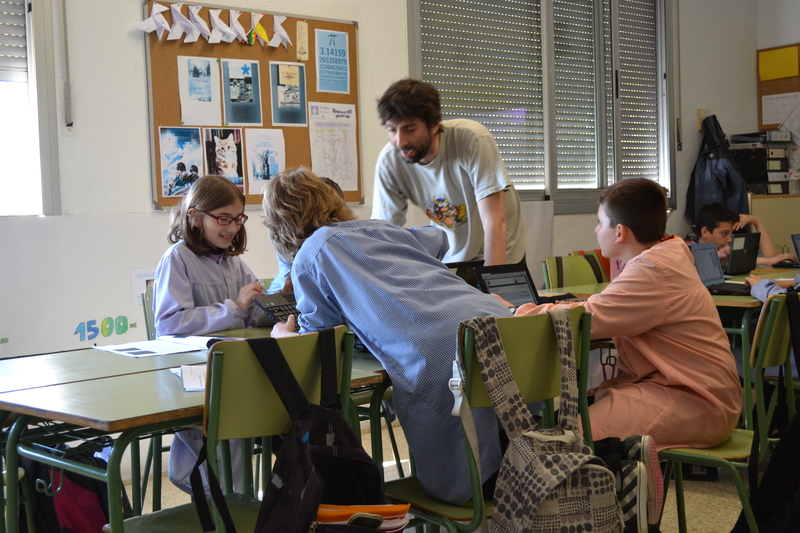 In this new article we present a reflection on the interaction in these environments, the reasons for its use with pedagogical purposes and the obstacles that educators might encounter making use of them. To preserve their educational potential, taking in account that 3D environments introduce a reality not comparable to everyday life, it is important to avoid transporting pre-existing educative models. Information and communication technologies, while expanding the potential of the classroom, require the design of a new pedagogical model that reconsiders every day thinking practices. It is out of question that some new technologies help some people learn in some instances and that new technologies offer different potentials for learning. These new potentials require a re-thinking of what it means to learn. I’d expect people use of representational and communicative modes of new technologies to re-shape the social interaction experience of the classroom in some ways. E-books are one of such new technologies. Nobody is really sure about the future and the impact of e-books, but there is increasing awareness that e-books demand further attention. As educators and researchers embark on a more extensive engagement with e-books, it has progressively become clear that it is important to understand how new forms of reading and the possibilities of working with multiple formats that go beyond the text change literacy practices in the schools. 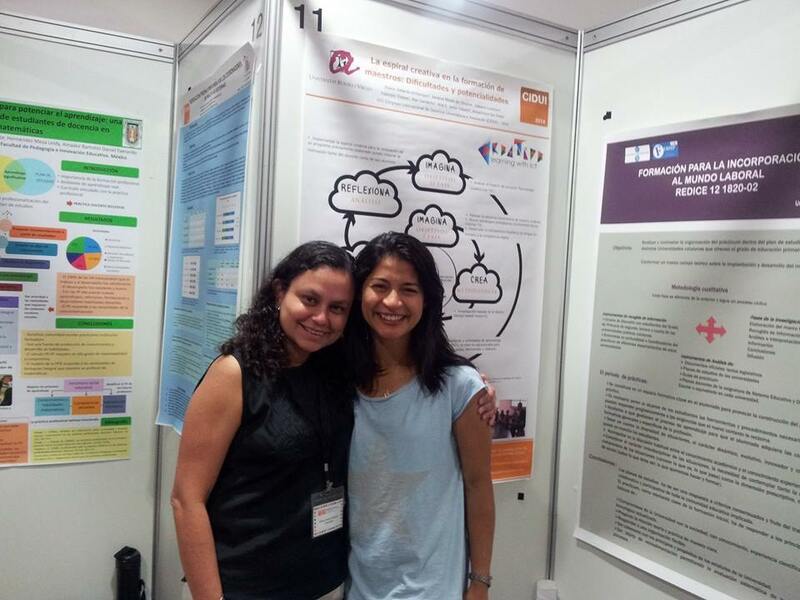 My colleague Mar Camacho and I are presently developing a case study to dig into how e-textbooks are being used in classroom and what the perceptions of teachers and students of teaching and learning with them are. You can read my colleague’s post on our visit here. 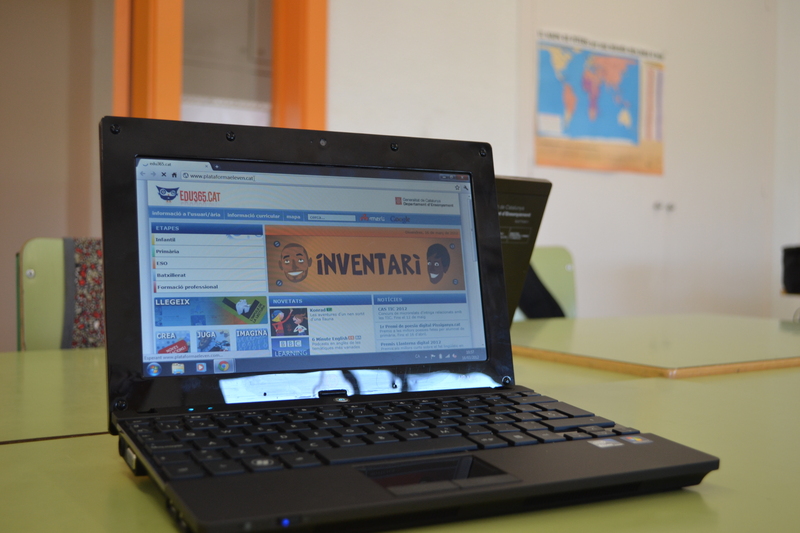 the school is considering the use of e-textbooks. The school staff, the teacher and the kids have been lovely, collaborating in every step of this initial research. We are still working on the data analysis, but as soon as we have some results, we will surely share them in the academic context and here, of course.